MSV and waterway managers have now installed 16 global positioning system (GPS) verification signs at boat ramps and jetties. 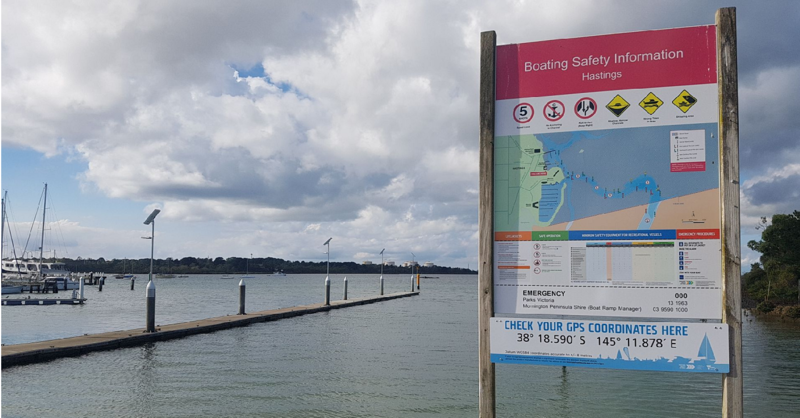 GPS verification signs have been installed as either standalone signs or incorporated into boating safety information signs. You can find the signs at: Lakes Entrance (three locations), Marlo Jetty, Cape Conran, Sydenham Inlet, Mallacoota (two locations), Hastings, Ocean Grove, Inverloch, Port Welshpool, Port Albert, Paynesville, Patterson River and Queenscliff.